Skye Gravestones | Donald & Jean (Mitchell) Kennedy. Donald & Jean (Mitchell) Kennedy. 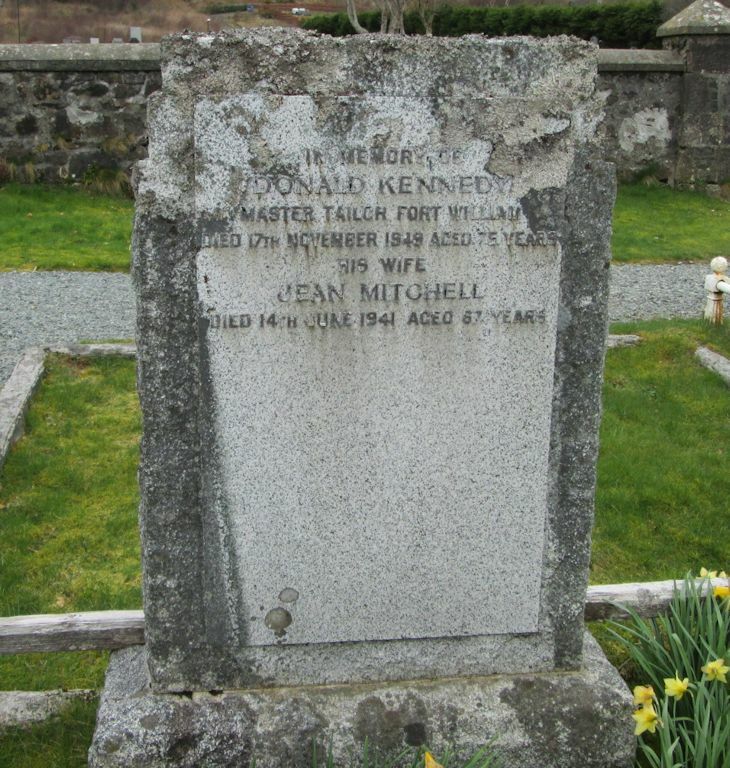 In memory of/DONALD KENNEDY/master tailor, Fort William/died 17th November 1949 aged 75 years/his wife/JEAN MITCHELL/died 14th June 1941 aged 67 years. Picture Added on 18 April 2014.